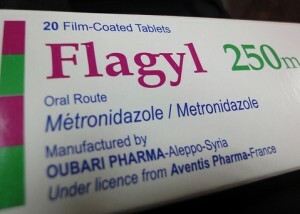 Flagyl is a brand name for the generic drug metronidazole and is a prescription-only antibiotic medication. It belongs to the nitroimidazole class of medications. Flagyl destroys harmful bacteria and protozoa by releasing free radicals through a chemical reaction. Metronidazole medications are especially effective against anaerobic bacteria and parasites. This drug is not effective against viral infections such as the cold or flu. Flagyl (metronidazole) is provided in 250 mg and 500 mg tablets, 750mg extended release tablets, 375mg capsules, as an inject and as a cream, lotion or gel. The specific dosage and length of treatment will vary according to the individual and type of infection. Metronidazole is not intended for long-term use. As with all antibiotics, it is important to complete your entire regimen of Flagyl, even if your symptoms go away. 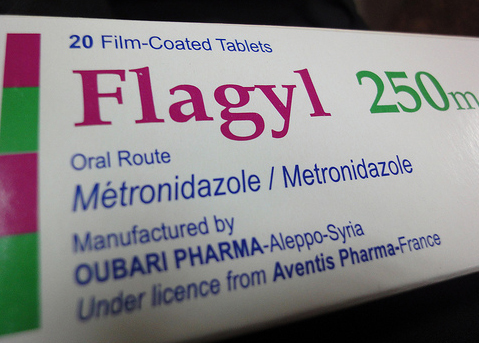 Flagyl (metronidazole) is used to treat a wide variety of infections. This medication is effective against infections caused by ameba such as amebic liver abscess and amebic dysentery. It may be used to treat anaerobic bacterial infections including infections of the lungs, heart, skin, blood, bones, abdomen, central nervous system and female reproductive system. Flagyl and metronidazole medications are also effective against trichomoniasis.